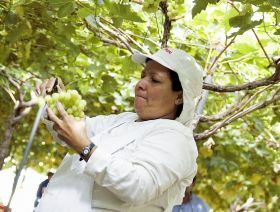 The Spanish and Chinese governments have signed a deal paving the way for the export of Spanish table grapes to China. The agreement, which set out the phytosanitary requirements for future grape exports, was inked by Xi Jinping and his Spanish counterpart Pedro Sánchez during this week’s visit by the Chinese premier to Madrid. The two countries signed a number of bilateral agreements to facilitate trade, including deals to widen access for Spanish pork exports to China. Up to now citrus, peaches and plums have been the only Spanish fruits that could be exported to China. 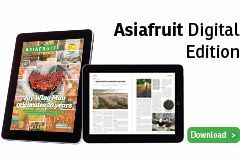 In 2017, Spain shipped 24,000 tonnes of fruit to China with a value of €33m. Spanish producer and exporter federation Fepex hailed the new table grape protocol, which was agreed in just two years, as a major achievement for the industry. Managing director José María Pozancos said it was a unique opportunity that would contribute significantly to Spain’s market diversification efforts. Cherry, blueberry and kaki producers are also lobbying hard to secure access to the Chinese market. Spain exported 143,500 tonnes of table grapes with a value of €285m in 2017. More than 90 per cent of this was sent to Europe, with South Africa, Canada and the UAE accounting for the rest.